Press TV – Iran says Pakistan should instantly adopt all necessary measures to help release a number of Iranian forces earlier abducted in the southeastern province of Sistan and Baluchestan on the border with Pakistan. 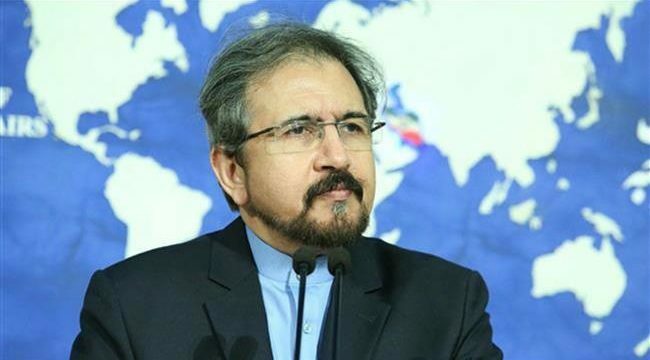 “The Pakistani government should immediately implement all necessary means and measures to free border guards of the Islamic Republic of Iran and arrest the wicked terrorists,” Iran’s Foreign Ministry Spokesman Bahram Qassemi said on Tuesday. In a statement issued on Tuesday, Iran’s Islamic Revolution Guards Corps (IRGC) said terrorists have kidnapped the Iranian forces, including local Basij volunteer forces and border guards, overnight near the town of Mirjaveh on the Pakistani border. The IRGC did not say how many were kidnapped, but IRNA quoted an unnamed official as saying that 14 people had been kidnapped in the village of Lulakdan near Mirjaveh around 4 a.m. or 5 a.m. The so-called Jaish ul-Adl terrorist group – which is based in Pakistan –claimed responsibility on its Twitter account. Qassemi condemned the abduction of the Iranian forces by the Takfiri terrorist group and their transfer to Pakistan. Qassemi noted that the Pakistani envoy expressed his deep regret over the incident and said he would inform Iranian officials about his country’s measures as soon as possible. Iranian border guards have repeatedly come under attacks by terror outfits active on the Pakistani soil. Tehran has repeatedly filed protests with Islamabad over its failure to end terror activities on the Pakistani side of the border. Two neighbors had signed a security deal in 2013. Will Khashoggi case spark Turkish-Saudi crisis?